How do we know the “Becker-Rauff Letter,” about the existence and use of gas vans, is authentic? For example, Ingrid Weckert, a German Holocaust denier, claims that such a detailed letter about the existence and use of the gas vans in the occupied Soviet territories must be a forgery, created by the Allies for the International Military Tribunal for the Trial of Major German War Criminals in 1945/46. The Becker-Rauff letter is not uncertain, dubious, or forged. The testimonies of the men who wrote the letter, built the vans, and used them to murder victims—August Becker, Walter Rauff, and Otto Ohlendorf—corroborate the letter’s authenticity. The letter is dated May 16, 1942 and is from August Becker, a chemist, to Walter Rauff, the head of the gas vans program in Berlin. Rauff had sent Becker to the East to investigate problems relating to the gas vans and report back. In the letter, Becker refers to “places of execution,” “persons to be executed,” the need to camouflage the vans [as observers began calling them “death vans”], and how leaks endangered the health of the drivers. Weckert attempts to discredit the Becker-Rauff letter by citing an affidavit Rauff gave to his American captors in 1945. In this affidavit, Rauff affirmed that he was the head of the department that constructed the gas vans from February 1940 to March 1940 and then again from May 1942 to June 1942. However, Rauff claimed that during the period between March 1940 to May/June 1942 (when the gas vans were built and used), he was assigned to other tasks, so ultimately he had no knowledge about the building or use of gas vans. Based on this affidavit, Weckert claims that Becker’s letter is a forgery because Rauff was not then the head of the department that built them. One must consider the context in which Rauff provided these affidavits. Shortly after the war, the Americans captured Rauff in Italy, but he eventually escaped their custody and fled to Damascus, Syria. From there he moved to Ecuador, finally settling in Chile, where he worked as the manager of a king crab cannery until his death in 1984. Since Chile refused to extradite Rauff, despite pleading from several nations and individuals, he did not fear the possibility of extradition in 1972. At this later date, he felt quite free to tell the truth: he was head of the department responsible for gas van construction. Based on the later testimony of Rauff, Weckert’s criticisms of the Becker-Rauff letter’s authenticity are unwarranted. 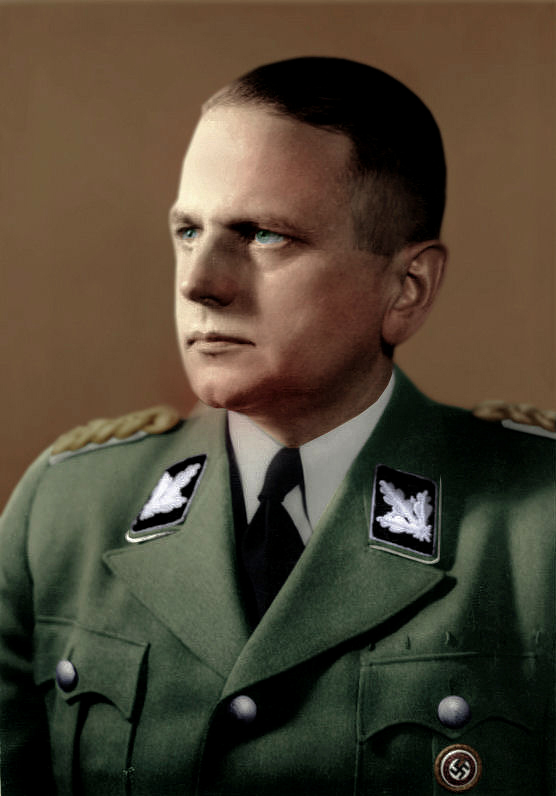 Otto Ohlendorf, the head of Einsatzgruppe D, also testified at the International Military Tribunal for the Trial of German Major War Criminals (1945/46). In his testimony before the court, Ohlendorf stated that he had received the gas vans in the spring of 1942 for use in the “killing of women and children.” He similarly claimed that Becker had visited his unit to supervise the use of the gas vans. The Becker-Rauff letter is not a forgery or of dubious origin. The testimonies of the men who designed, built, and used the gas vans corroborate its authenticity. Ingrid Weckert, “The Gas Vans: A Critical Assessment of the Evidence” (“3.1.4. Summary”) and (“3.1.1. Origin of document PS-501”) at http://www.vho.org/GB/Books/dth/fndwagon.html. Ingrid Weckert, “The Gas Vans: A Critical Assessment of the Evidence” (“3.1.4. Summary”) and (“3.1.1. Origin of document PS-501”). You may read the entire text of the Becker/Rauff letter at http://holocaustresearchproject.org/einsatz/rauff.html. Ingrid Weckert, “The Gas Vans: A Critical Assessment of the Evidence” (“3.2 Affidavits”). And, Santiago Alvarez and Pierre Marais, The Gas Vans: A Critical Investigation (Barnes Review, 2011), p. 288. You can read the entire text of Rauff’s 1972 deposition (p. 12) at http://www.nizkor.org/ftp.cgi/people/r/rauff.walter/Rauff-deposition-translation. You can read the text of Ohlendorf’s testimony about the use of gas vans on the Eastern Front (Part 4 of 15) at http://www.nizkor.org/hweb/imt/tgmwc/tgmwc-03/tgmwc-03-26-04.html.